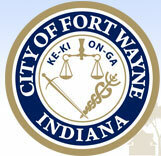 Beginning in 2019, all SEED businesses (including those in the former Urban Enterprise Zone) must file Form EZB-R and EZB-E (Extension Form) by June 1, 2019 with their local Urban Enterprise Association (SEED Fort Wayne). Use this link https://uea-seedfortwayne.submittable.com/submit to access and file Form EZB-R and EZB-E. The links below access the following forms. Businesses that apply to receive a tax deduction need to file Schedule EZ-2 with the Allen County Auditor's Office no later than May 15 of each year. It is only necessary to fill out the Property Description portion and sign the form. The Auditor's office will fill out the assessment numbers and calculate any increase/decrease from previous years on both real estate and personal property. For personal property deductions, also attach an equipment list to the EZ-2 or a copy of Form 103. 2018 is the last year that this credit is available in Fort Wayne.